Built on the Ayllú (neighborhood) de Larache in San Pedro de Atacama, explora en Atacama is a small town built around a three patio. Room are lined up with corridors opening to a patio. Corridors meet in the main building, crossed by two ample passages; the Pasaje del Sol and the pasaje del Agua. 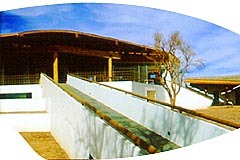 Architecture evokes the nature and culture of Atacama. To travel is to pass, to arrive and leave. Architecture is permanence. 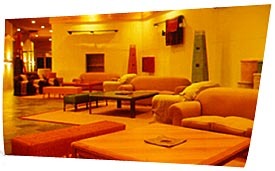 The hotel assures hospitable refuge inviting to enjoy the various and disperse, in freedom and security. More than a home, the hotel is an experience, an open balcony towards surrounding beauty. In a desert, the hotel is water; in the burning sun, it builds a shadow. explora is a foundational experience of architecture in the remote. Atacama produces an encounter between nature and men, between moving and stopping, between the ephemeral and what remains. The hotel has 50 rooms (32.9 square meters) all with telephone and jacuzzi. There is only one kind of room. Additional beds for children under 12 years old are available, (one extra bed per room). Meeting or music room equipped with TV, video, laser disc. This page, and all contents of this Web site are Copyright (c) 1998 by interKnowledge Corp. All rights reserved.